• Keep on your left, allowing the vehicles from the opposite direction to pass. •Give way to traffic on your right, especially at road junctions and round abouts. • While turning either left or right, give way to vehicles going straight. 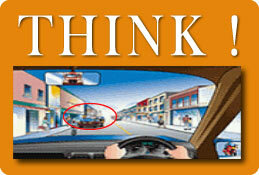 • While turning left, keep to the left side and turn close to the left side of the road to which you enter. • Slow down at the junctions, intersections and pedestrian crossings. Also slow down near school zones, temple areas etc., where a lot of pedestrians and vehicle traffic move. Give signals before you make any manoeuvre, indicating your intention, so that the other road users can adjust accordingly. • In case traffic jams, be patient. Do not cross the median and block the opposite lane. • Always use a helmet if on a two-wheeler and always check that the strap is fixed properly. • Stick to the given speed limit and remember that speed limit is related to the traffic condition. • Keep enough distance from the vehicle ahead to avoid collision. • Yellow lines should not be crossed under any condition. • At junctions or intersections, never park the vehicle beyond the stop line. • At pedestrian crossings always remember that the pedestrian has the right of way. • At the signal, do not stop your vehicle on the Pedestrian Crossing. • Two-wheelers are meant only for two. Third person is not allowed, even children. • Do not move your vehicle on the amber light. Wait for the light to turn green. • Overtake only from the right side of a vehicle. Never overtake on bridges, narrow roads, junctions, school zones and pedestrian crossings. • Do not drive in a zig-zag manner.